How many shawls is too many? Who doesn't love knitting shawls? All the shawls.... even the ones that you'll probably never wear in public since you dyed your hand spun in colours reminiscent of hubba bubba bubble gum. That's my Exploration Station by the way. It's squishy and amazing, and only worn around the house. 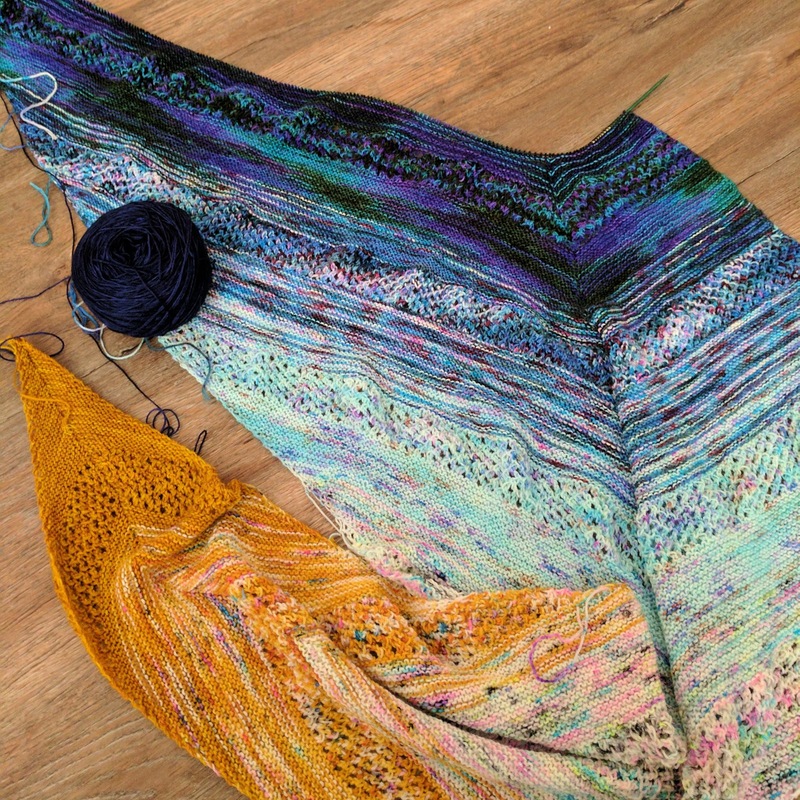 So to get to my point (which took me nearly a full month by the way, so much for promising this post would come tomorrow) is I am working on a stunning number of shawls and would like to cast on more. Pattern is Find your Fade by Andrea Mowry, and I am knitting mine from 6 skeins of Hedgehog Fibres and one skein of my own hand dyed yarn (feeling super pumped up that my yarn plays so nicely with Hedgehogs). And I am sooo done with it. I have 40 more rows to go, and knitting it monogamously is killing me (I think I'll go cast on some socks). Aaaand I have yarn caked up and ready to go for Curious Handmade's MKAL the Snowmelt... which everyone else will be finished soon. Oh and then this happened. I just really really really wanna knit a new shawl!